German Cockroach - these are recognisable by their light brown or tan colouration with two black horizontal stripes behind the head. They grow to around 16mm in length. While the German Cockroach has wings, they very rarely fly, preferring to run instead. They breed throughout the year producing around 140 - 320 eggs each time. 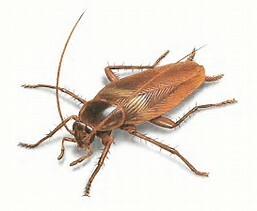 Oriental or Common Cockroach - these are larger than the German Cockroach and grow between 25 - 30mm in length. They are dark brown to black in colour. The males are smaller and can be identified by the presence of three-quarter length wings. The females are larger but lack the presence of wings altogether, instead having large wing pads that cover the first couple of segments of the body. Neither the male or the female is capable of flight. Although capable of living outdoors in tropical environments, in the UK the German Cockroach is most commonly found indoors. They prefer to live in warm humid areas and can typically be found in kitchens and bathrooms but will move to other areas if food and moisture are available. 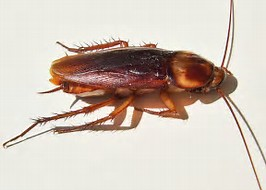 In apartment buildings, the German Cockroach can easily move between apartments via the plumbing and pipes. Their droppings appear as small dark "pepper-like" material left on work tops, in drawers and inside cupboards. Faecal staining may also appear as dark spots or smears in the corner of rooms, around small cracks and along the top of doors. When they are present in large numbers it may be possible to detect a mild musty odour. 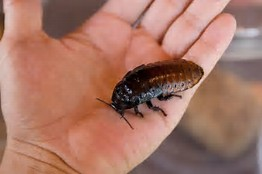 The Oriental or Common Cockroach is primarily an outdoors species and can be found living in cool damp areas such as basements, drains and openings beneath porches. They prefer to feed on rubbish and decaying matter. Mostly active at night, they can be found during the day in areas and rooms that are dark, moist and undisturbed. In areas where there are large populations a musty odour may be detected. 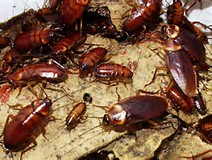 Cockroaches are usually thought to be a sign of poor hygiene and insanitary conditions, but cockroaches can and will actually infest even the cleanest of homes and businesses. Under the right habitable conditions an infestation can spread very rapidly. How serious is a cockroach infestation? Salmonella - Bacteria attack the stomach and intestines, symptoms include fever, nausea, vomiting, headaches and diarrhoea. Salmonella can strike anybody, although children and the elderly are most at risk. E-Coli - Cockroaches carry E-Coli in their faeces and spread it to any food they come into contact with. Symptoms include severe stomach cramps, nausea and bloody diarrhoea. In extreme cases it can lead to anaemia and kidney failure which can be fatal. Typhoid - The bacteria invade the bloodstream before travelling to the liver, bone marrow and spleen. This disease can be recurrent and some sufferers go on to be carriers of the disease. Polio - Has been virtually eradicated in the UK thanks to vaccination, however young children and people born before 1958 and not vaccinated are still at risk. Polio can cause permanent nerve damage, muscle wastage and even death when breathing is affected. Hookworm - Hookworms use the bloodstream to travel to the lungs, intestines and windpipe. Symptoms typically start with a small rash, itchiness and diarrhoea. Staphyloccocal Infections - ranging from skin infections to fatal illnesses such as toxic shock syndrome. 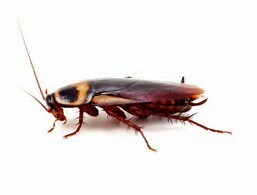 The health risks posed by cockroaches are numerous and it is important to keep you and your family safe. Can I get rid of Cockroaches myself? It can be very difficult for the untrained individual to treat cockroaches. 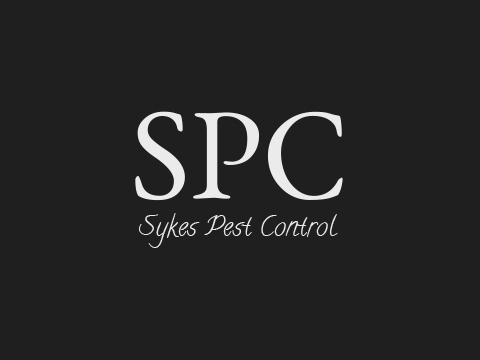 It is highly recommended that a professional pest control company is contacted for help and advice. Here at Bradford Pest Control we have the knowledge, tools and access to a range professional use products to ensure that the service is carried out quickly and safely. Upon making contact with our pest control team an appointment will be made at your convenience to visit your home or business premises. Our professional pest control technician will examine your property and identify the problem and problem areas. 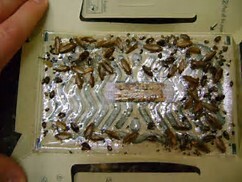 On completion of the inspection the technician will recommend the best cause of action to get rid of the cockroaches. 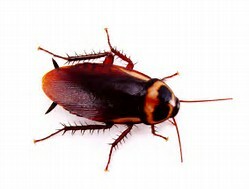 Our technician will use the best tools and professional use products to resolve the cockroach problem safely, ensuring peace of mind for you and your family or business. Our technician will offer advice and solutions to prevent further infestations from re-occurring. 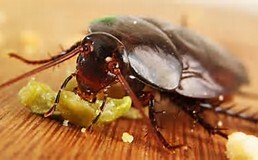 Do I need to do anything before cockroach treatment? No, you don't need to do anything at all. Our professional technician will ensure that our service is carried out quickly and safely.